Home Creation vs Evolution Evolution's Radiometric Dating Methods: Are they accurate? Home / Creation vs Evolution / Evolution's Radiometric Dating Methods: Are they accurate? If you were asked to find out when a candle, that was burning on a table, was lit, and you weren't there, all you can find out is either the height of the candle, or you can measure how fast it is currently burning by measuring the candle for awhile. So all we have is the height of the candle, and the rate at which it is currently burning. You still cannot figure out when it was lit, unless you make some assumptions. How tall was the candle to begin with? Has it always burned at the same rate? Neither of those can be known. 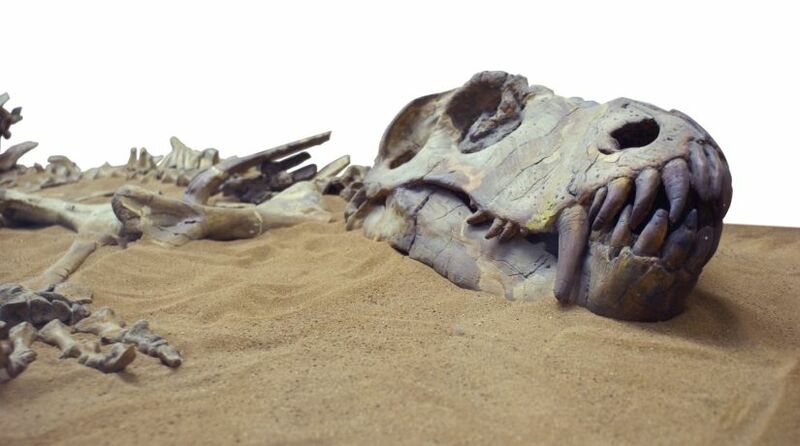 If you find a fossil in the dirt, the amount of carbon can be measured, and the rate of decay can be determined. We don't argue with either of those. But we must make some assumptions. How much was in it when it lived? Has it always decayed at the same rate? Has it been contaminated sitting in the ground for all these millions of years? 1. These assumptions do not take into account the impact of weathering by surface and ground waters and the diffusion of gases. It is impossible to know to what degree products have been added to or removed from the rocks over the alleged millions or billions of years. A decrease in the earth's magnetic field, increases C-14. Therefore, using an assumed constant ratio for dating inevitably results in inaccurate radiocarbon readings. And there is no way to prove that the decay rate was not different at some point in the past. These two problems alone, in reality, clearly calls into question the validity of virtually any dates assigned to fossils. Carbon-14 actually decays so quickly—with a half-life of only 5,730 years—that none is expected to remain in fossils after only a few hundred thousand years. Carbon-14 shouldn't even be used to date anything over a few thousand years, since its half-life is only 5,730 years! 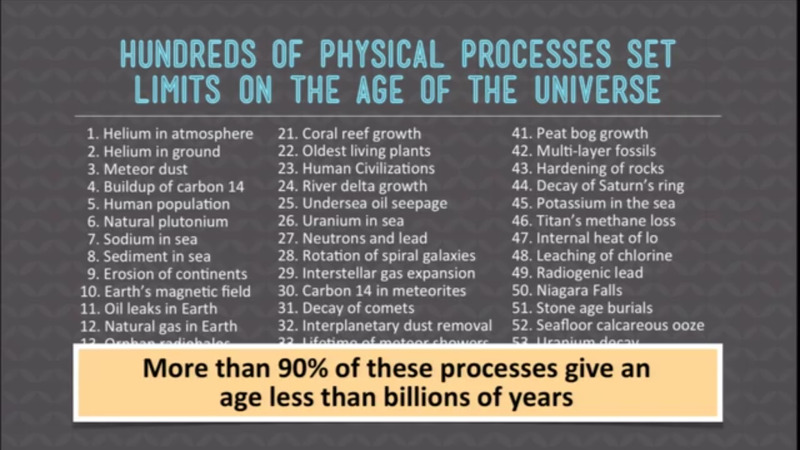 And Carbon-14 has been detected in “ancient” fossils—supposedly up to hundreds of millions of years old—ever since the earliest days of radiocarbon dating. It's found in everything! If radiocarbon lasts only a few hundred thousand years, why is it found in all the earth’s diamonds dated at billions of years old? This range is lowered even more by the calculations of other reputable secular scientists, including Robert L. Whitelaw (1968), who believed that C-14 could date no farther back than 5000 years. Dr. Walt Brown (2008), has presented recent data showing that C-14 dating becomes unreliable after about 3,500 years. The bottom line is that C-14 dating is clearly useless for dating so-called prehistoric life forms. Mammoth Dating Inconsistencies. A fossilized baby mammoth nicknamed Dima, was dated by Dr. Brown (2008). The radiocarbon dating indicated that one section of Dima's body was 40,000 years old, while another part was 26,000 years old. To make matters worse, C-14 dating determined that the wood that enveloped Dima was only 9,000 to 10,000 years old, when all materials that appear together with the fossil are, by definition, the same age as the fossil! Young Dinosaur Fossils Rejected. After C-14 dating a dinosaur fossil, the Oak Ridge National Laboratory, located near Knoxville, Tennessee, indicated that the dating results showed the fossil to be just a few thousand years old, not millions. Not wanting to abandon their preconceived notion that dinosaurs have not existed for the past 65 million years, however, their evolutionary researchers dismissed the results as invalid. This is not an isolated case. Scientists often reject dating results that do not fit their theories. Blind Dating. In a “blind” sample C-14 test, researchers provided fossilized dinosaur bones to University of Arizona's Laboratory of lsotope Geochemistry, in 1990, without indicating what kind of animal they were dating. The results, announced on August 10 of that year by the University's Professor of Geosciences, showed that what were actually allosaurus bones, were only about 16,000 years old instead of their official 140-million-year age! Inconsistent Dates By Far. In the Geological Survey Professional Paper 862, they carbon dated sample #SI454 and said it was 17,210 years plus or minus 500. They then tested a different sample, sample #SI455, and said it's 24,140 years old. Then they find out that the second sample was actually the same sample, 454! The very same sample, tested again. So is it 17,000 or 24,000? This same mistake happened again... Sample #299 was claimed to be less than 20,000 years old, and Sample #L136 was greater than 28,000. They then find out it was the same sample as #299. How can a sample be less than 20 and greater than 28 at the same time? The Earth Age Inconsistency. Back in 1770 they taught the earth was 70,000 years old. In 1905 they said it's 2 billion years old. By 1969, they went to the moon, they brought back moon rocks and said: “Oh, they're 3.5 billion years old.” That was the official age; 3.5 billion. Today they say it's 4.6 billion years old. 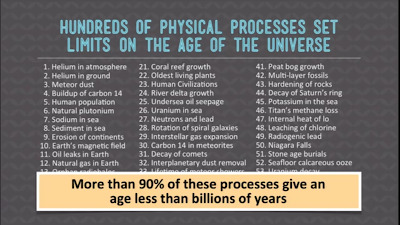 Another thing you may not have known, is that Carbon dating was not invented until 1949! So when they started teaching the earth is billions of years old, back in 1830, they didn't teach it because of carbon dating. They'd never thought of carbon dating. It had never been heard of. Why were they teaching the earth is billions of years old 160 years ago? Because they needed billions of years to make their theory look good. 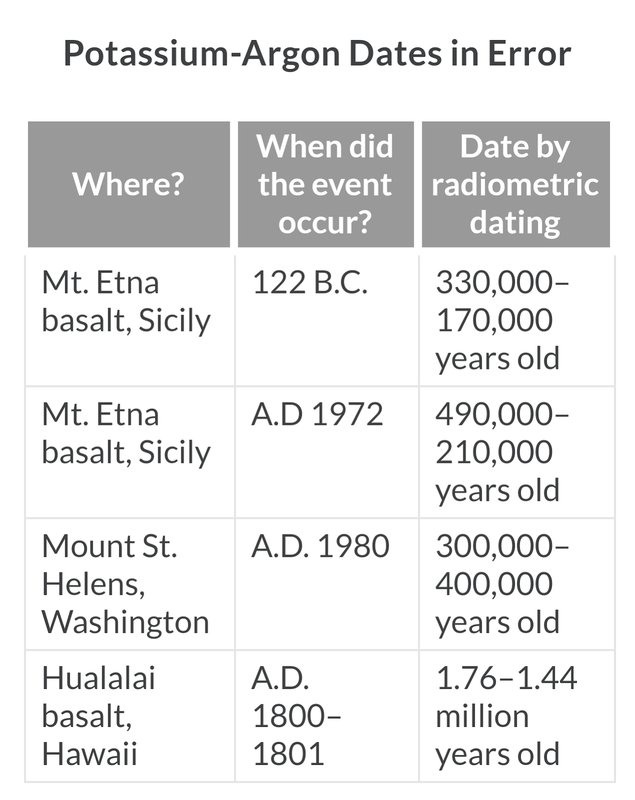 If radiometric dating fails to get an accurate date on something of which we do know the true age, then how can it be trusted to give us the correct age for rocks that had no human observers to record when they formed? Wild dates are always obtained with carbon dating or potassium argon dating. Dates that don't fit the theory are rejected. Only the ‘correct dates’ get published [that match the geologic column]. The original content can not possibly be known. You can't know that there's been no contamination. You can't know that the decay rate has always remained the same. 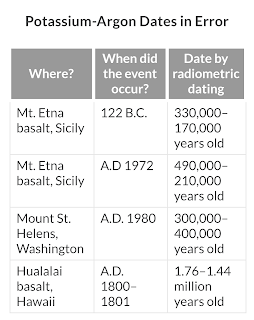 To be considered credible, radiometric dating would have to be scientifically sound and consistently accurate. 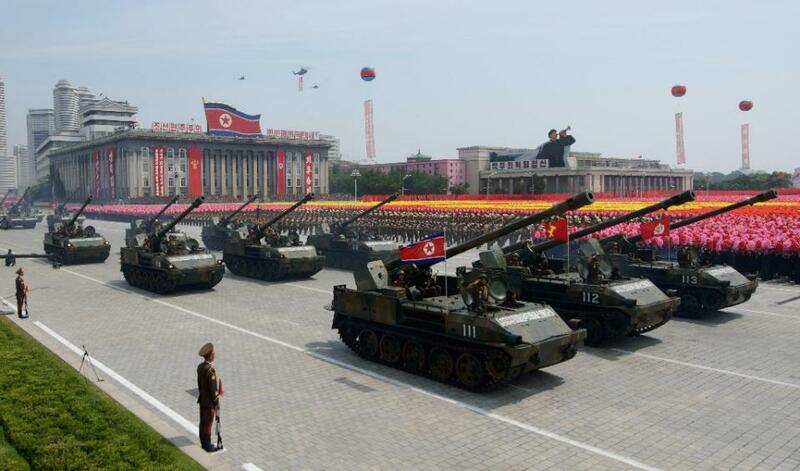 As we have just seen, however, it is riddled with scientific flaws and endless examples of inaccurate measurements. Therefore, it is no more valid than the geologic column for determining when dinosaurs lived. Science is controlled by evolutionists who are not really interested in the truth, and will deny any evidence to the contrary.